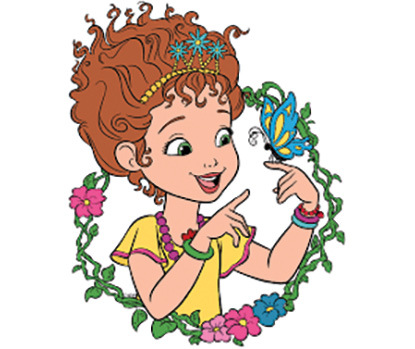 Fancy Nancy is a character in a children’s book series written by Jane O’Connor, and everything about Nancy is fancy. With fancy in mind, children ages 4 – 8 are invited to dress in their favorite ensemble for a Fancy Nancy soiree on Saturday, April 27 at 11 a.m. During this hour-long extravaganza, party goers will receive a fancy feather neck boa, decorate a tiara, decorate a ladybug cookie, and play Fancy Nancy Bingo—with prizes! We will read a Fancy Nancy book before guests nibble on delectable fruit, crunchy crudités and drink fuchsia lemonade. So fancy! This program will be held at the Second Baptist Church, 100 North Main Street and registration is required. This program is funded by the Friends of Kent Memorial Library. Story Time: Wednesday, starts April 24 at 10:15 a.m.
To join us for stories and a craft you can register or drop-in. Story time will be four weeks of fun. Read to a Dog: Saturday April 20, 10:30 to 11:30 a.m. Practice reading – to a dog! Individual reading sessions last 15 minutes (10:30 a.m. to 11:30 a.m.) Working on your reading? Feeling a bit shy about it? Want to show off? Come read to a certified dog from Healers with Halos. See them at www.boltonvet.com. Registration required. Rhyme Time: Fridays at 10:30 a.m.
Bring your singing voice on Fridays at 10:30 a.m. We sing, dance, blow bubbles – and have fun! Drop in. Looking to meet other parents and kids? Come to Play-Group, offered to care-givers and children. Drop-in.